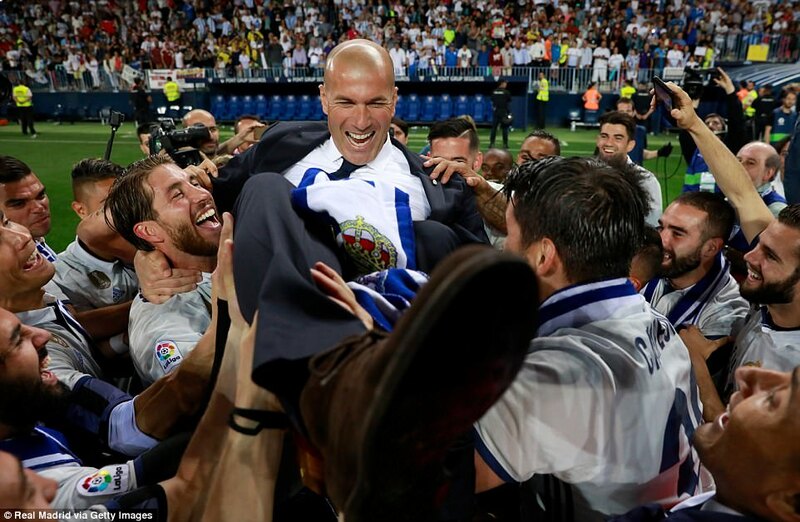 Madrid wrap up first league title in five years! 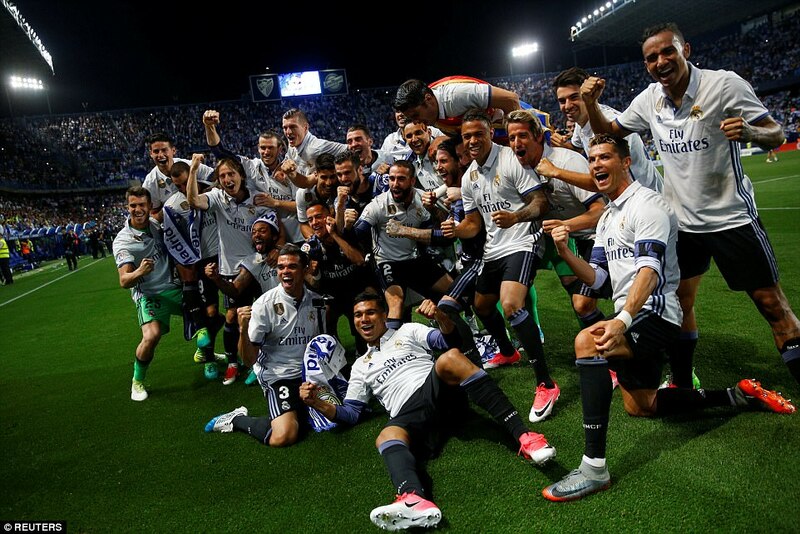 It took Cristiano Ronaldo just one minute and 39 seconds to have the last word on La Liga’s title race, making sure Real Madrid won their first league since 2012 without any final day nerves. 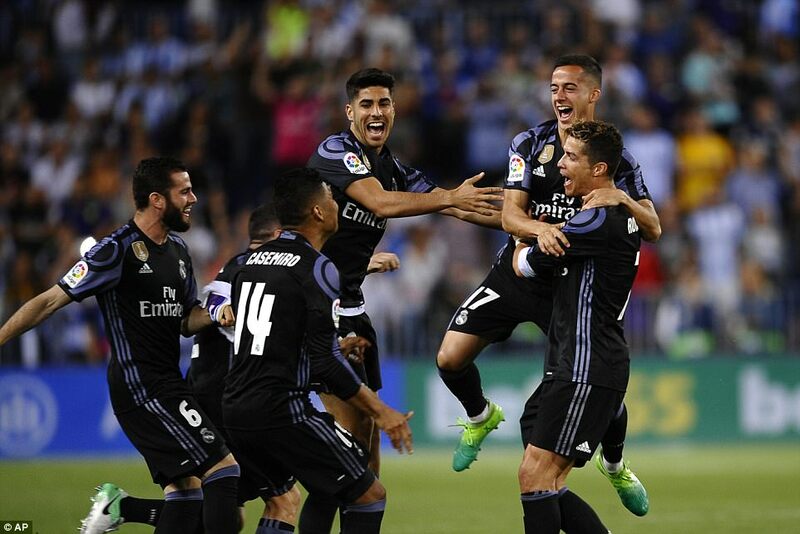 He scored inside two minutes as Zinedine Zidane’s team coasted to the trophy that has eluded them for the last five years. 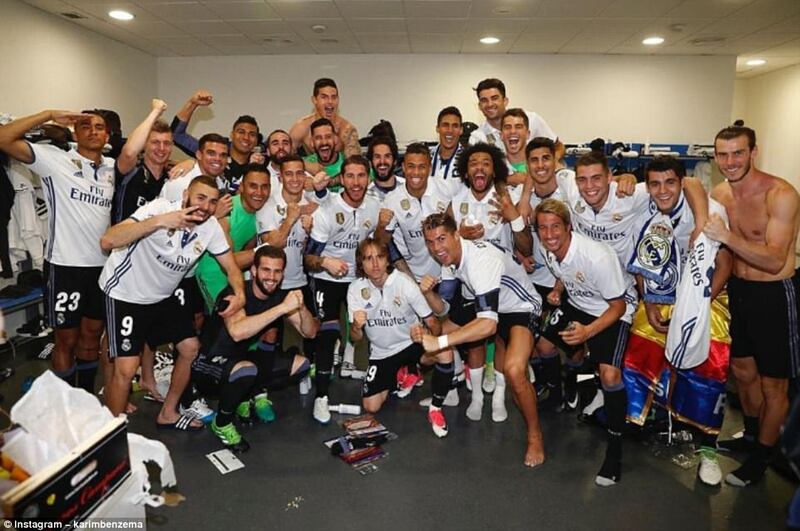 Ronaldo loves the last day of the season. 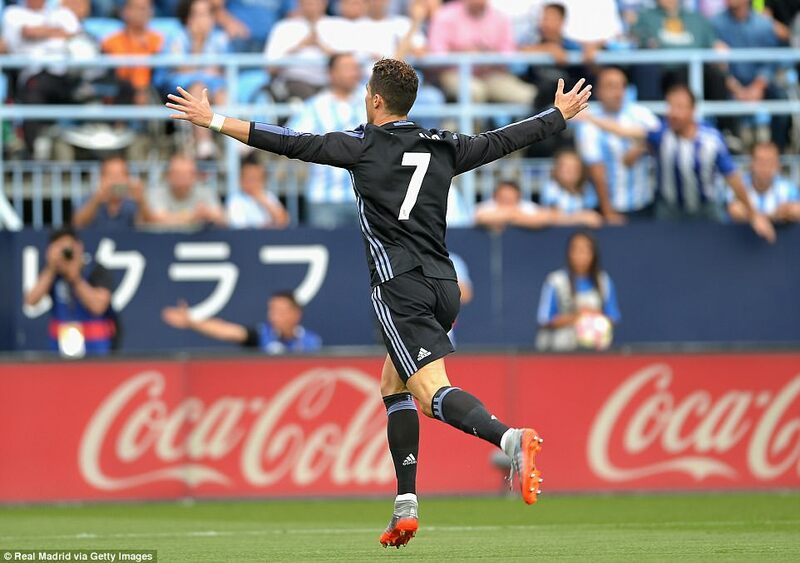 He came into the game with a record of 11 goals in his last nine final matches of campaigns and it wasn’t long before he added to that record. 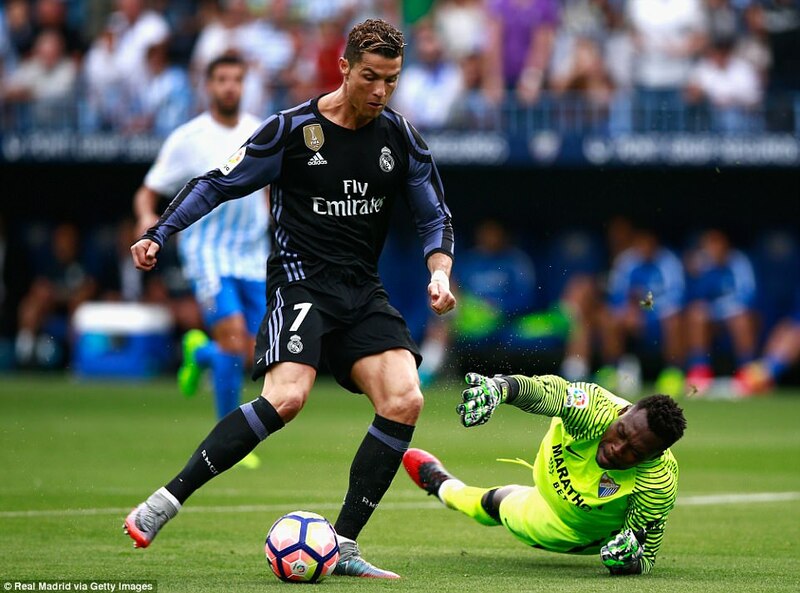 Isco threaded a pass through the gap left between Malaga’s two centre-backs and Ronaldo ran on to it, rounding Carlos Kameni before scoring his 15th league goal in his last 15 league games The attempt to time his physical peak for the most important part of the campaign has worked perfectly. It was also his 40th Real goal of the season. 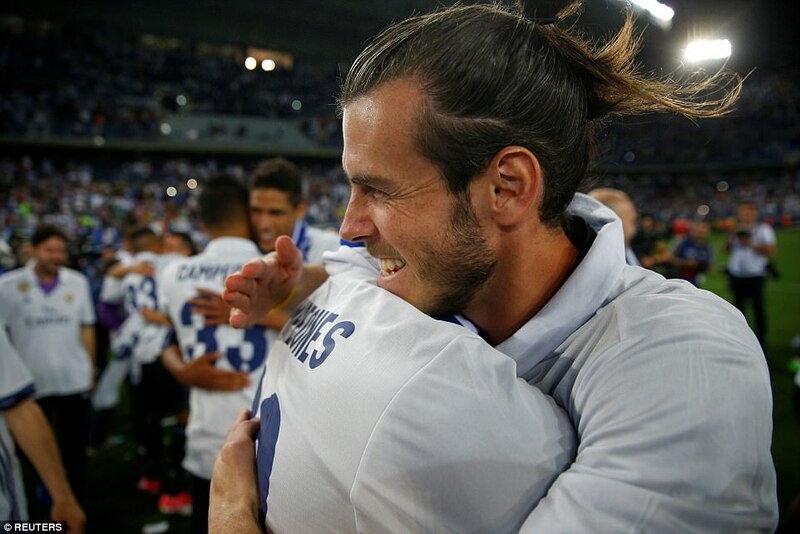 Madrid only needed a draw but they were never likely to settle for that. 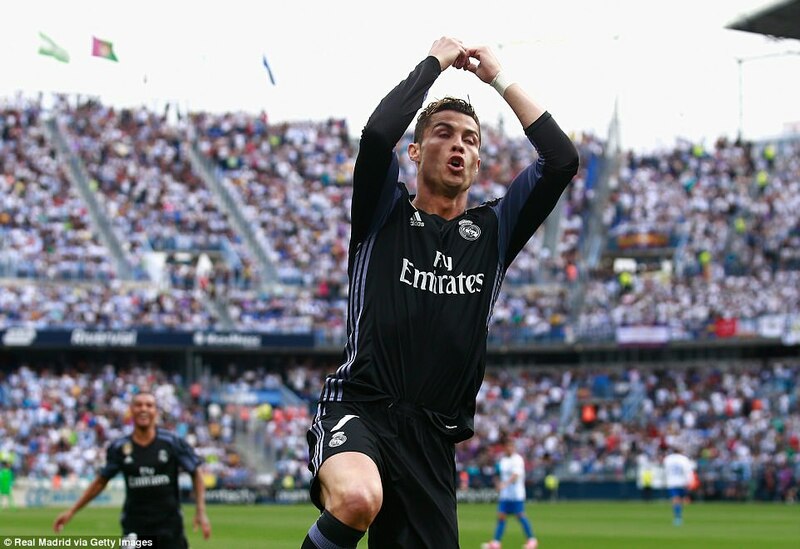 Ronaldo’s goal means they have scored in every game of the season for the first time in their 115 year history. At the Nou Camp the goal news came through before some fans had taken their seats. Luis Enrique, taking charge of his last league game and his last match at the stadium, appeared to share a joke with his number two Carles Unzue. 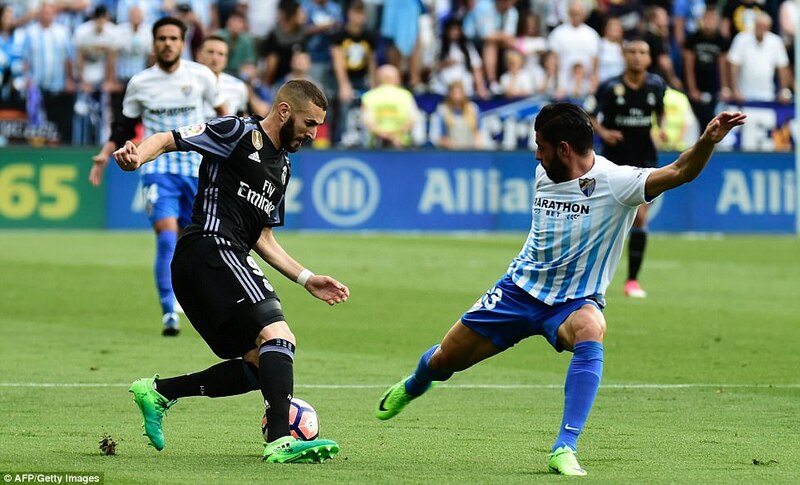 They were perhaps relieved at the early arrival of the killer news from Malaga – nothing worse than false hope on the final day. Things got worse for Barcelona when Eibar took at shock lead through Takashi Inui and the Barcelona heads were down. One ‘Barca man’ who had not given up was Malaga striker Sandro Ramirez. 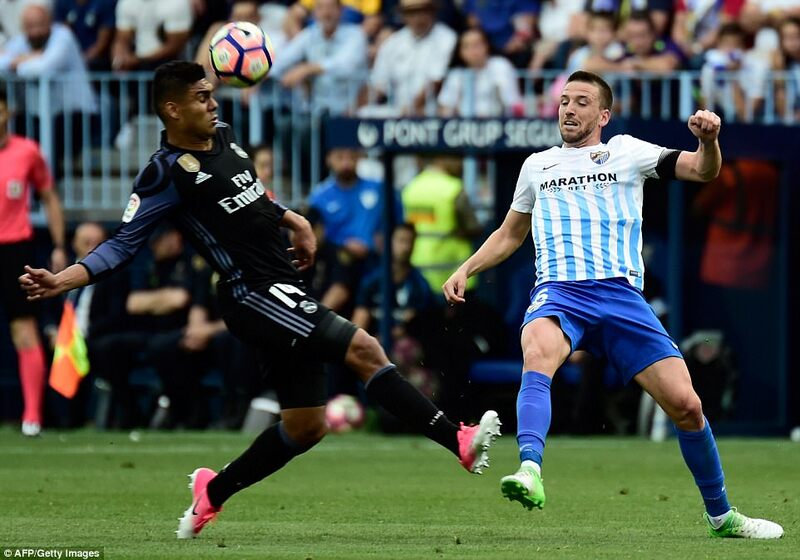 The former Barcelona forward, who will leave Malaga for Atletico Madrid or Everton for his 6m euros buy-out clause this summer, has 14 goals this season. 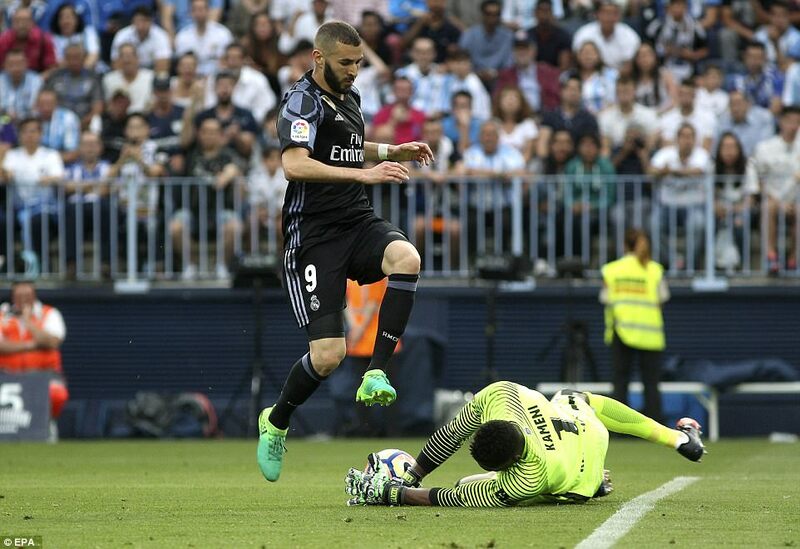 His free-kick on 21 minutes was heading into the top corner but Keylor Navas stretched out a right hand and pushed the ball away – another picture book save for his end of season collection. He knows his days are numbered with David de Gea on his way but he is making match-winning saves for the team in his final appearances. 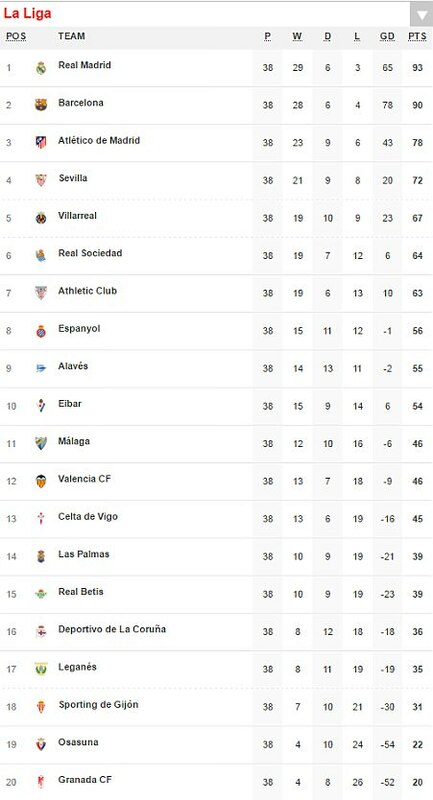 Malaga were not lying down and their commitment went too far at times. 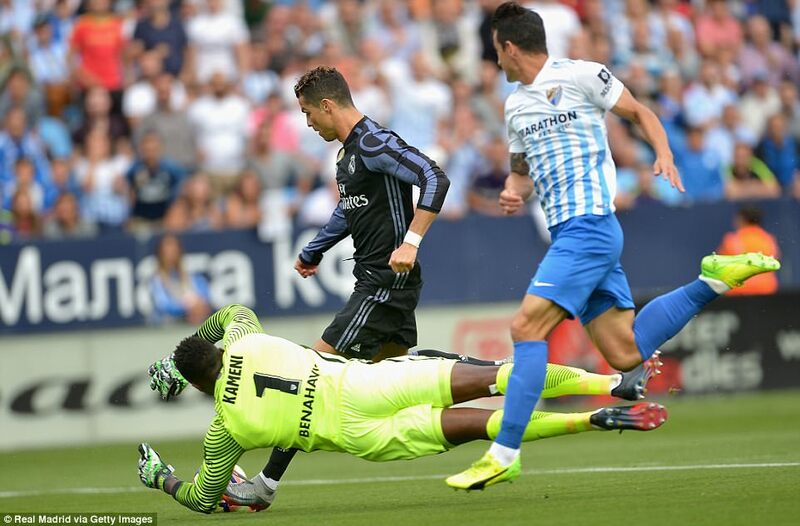 When Federico Ricca followed through studs-up on Cristiano Ronaldo’s right knee he was lucky not to be sent off. 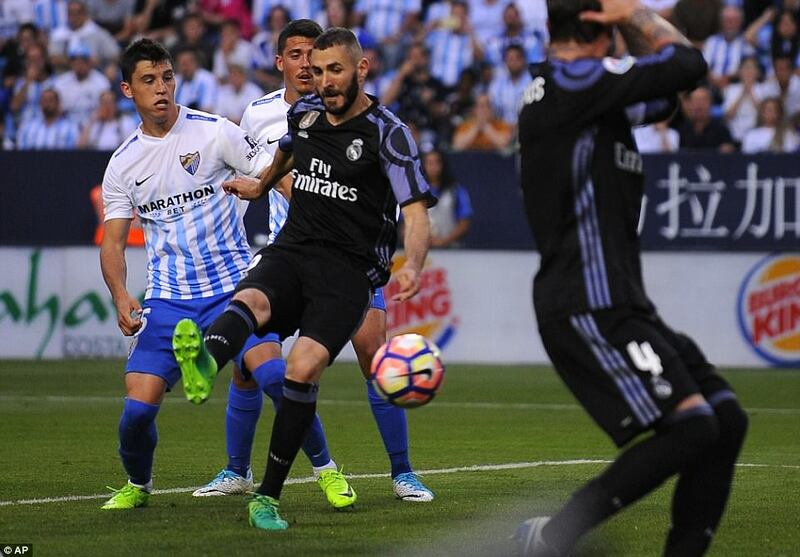 The news was better for Real Madrid when Karim Benzema made it 2-0 on 55 minutes. He was offside when he turned the ball in after Kameni failed to properly clear a corner and it ricocheted to the Frenchman. 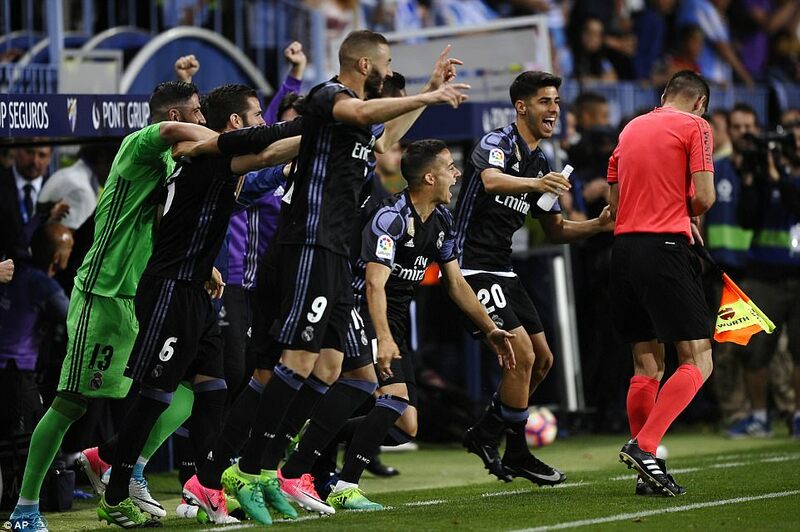 Kameni was booked for protesting as the referee gave the goal and the Madrid bench spilled onto the pitch to celebrate the second goal. Just as in the first half, no sooner had Madrid scored than Eibar netted at the Camp Nou and again it was Inui. Barcelona now needed six goals to be scored to win the league. They needed Malaga to score three and they needed three themselves. They at least pulled one back when Neymar’s shot came back off the post and David Junca put through his own net. They were then awarded a penalty after Jordi Alba was fouled but the outstanding Yoel Rodriguez saved Messi’s spot-kick. Luis Suarez finally converted one of his chances to make it 2-2 on 73 minutes and when Neymar dived in the area his victim Ander Cappa was shown a second yellow and sent off. Yoel got a hand to Messi’s spot-kick but this time the penalty was scored. 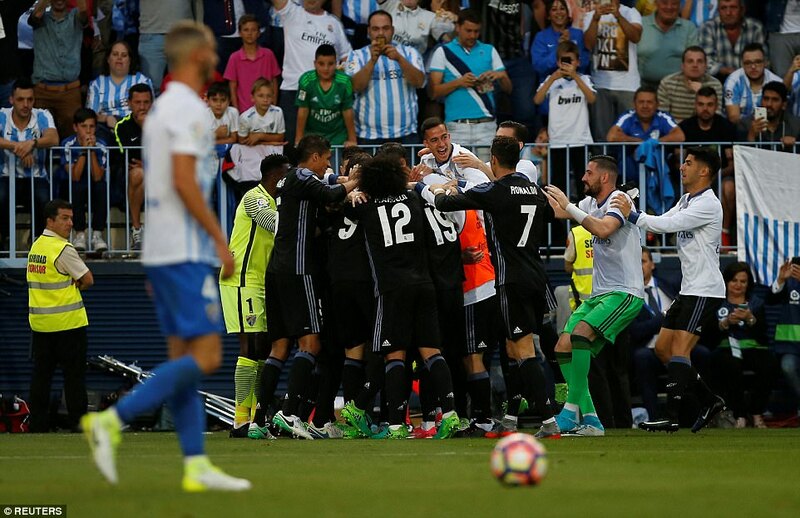 Nothing could sour the mood of the Madrid supporters in Malaga however, and with the home side’s most dangerous player Sandro taken off they really were home and dry. 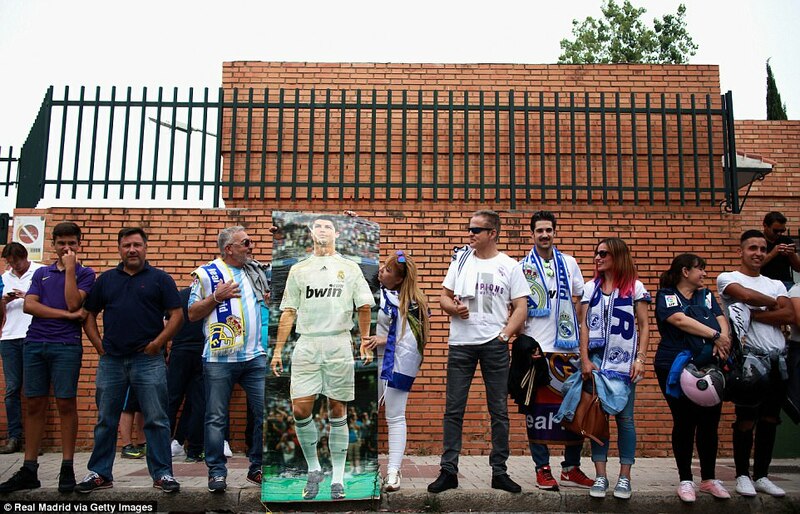 There were oles from the Madrid supporters inside La Rosaleda. 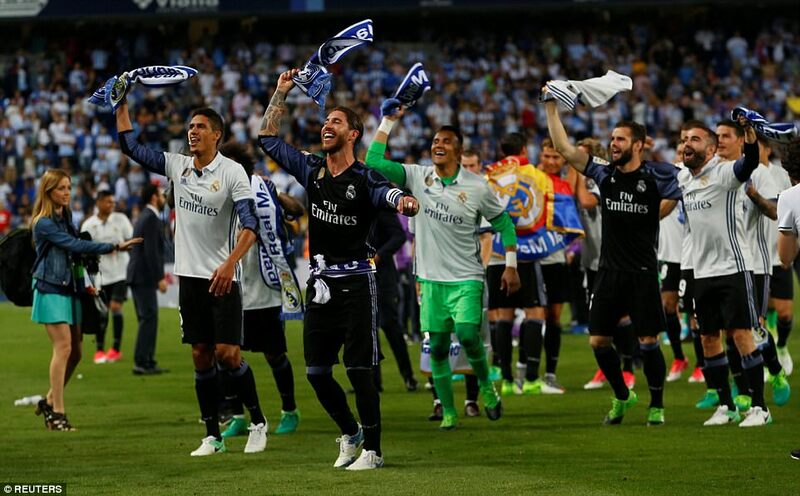 Back in Madrid people were already arriving at the Cibeles fountain in the capital where league titles are always celebrated. 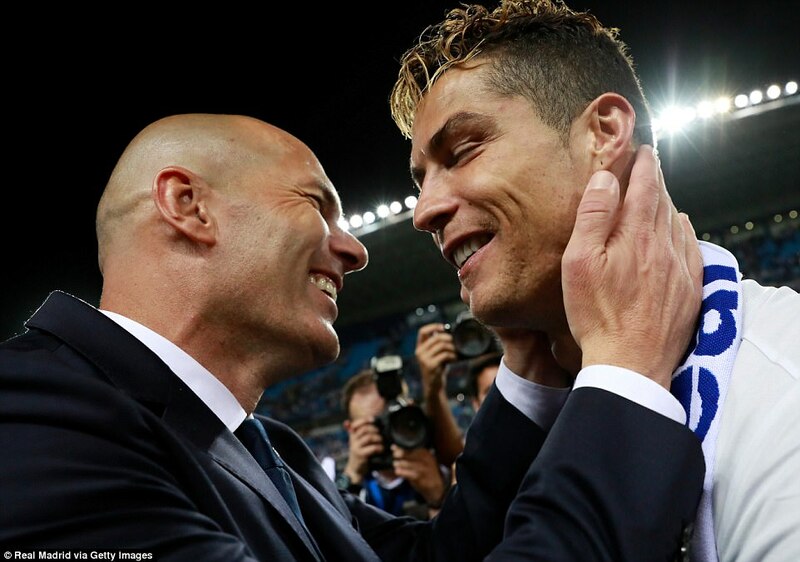 They have not had a domestic triumph to toast since the days of Jose Mourinho but in his first full season Zidane has delivered, and he has done so with Ronaldo looking fitter and more effective than ever.